Anselme Payen was born on January 6, 1795 in Paris France. His father was an entrepreneur who had started several chemical production plants. Payen studied chemistry with his father starting when he was 13. Wanting to keep him out of the Napoleonic army Payen's father sent him to the Ecole Polytechnique where he studied under Louis Nicolas Vaquelin and Michel Eugene Chevreul. At age 23 he took over management over a borax factory owned by his father. At the time the Dutch had a monopoly on the borax market importing it from the East Indies. Payen developed a method to neutralize boric acid with sodium bicarbonate that produced borax at a third of the cost of the Dutch import, effectively ending their monopoly. Five years later Payen was investigating the refining of sugar from sugar beets and he developed a process to whiten the sugar using charcoal. Charcoal is sometimes used in gas masks because it absorbs organic gasses. In 1883 he discovered a chemical, extracted from malt extract, that catalyzed the conversion of starch to sugar. He called this chemical diastase (its now called amylase) and it was the first time an enzyme had been isolated. Peyen coined the -ase ending used to name enzymes and the -ose ending used to name carbohydrates. Payen went on to study different plants and discovered that they all were composed of a substance, similar to starch in that it was made of carbohydrates, which he named cellulose. Payen wrote a series of papers on cellulose which were published by the French Academie. Payen also studied plant anatomy and the distribution of nitrogen in plant material. He found that that nitrogen accumulates in regions where growth is occurring. 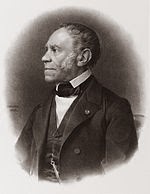 Payen was awarded a prize by the Academie Des Sciences in experimental physiology in 1839 for his work on starch. The Anselme Payen Award is given annually by the cellulose and renewable materials division of the American Chemical Society.